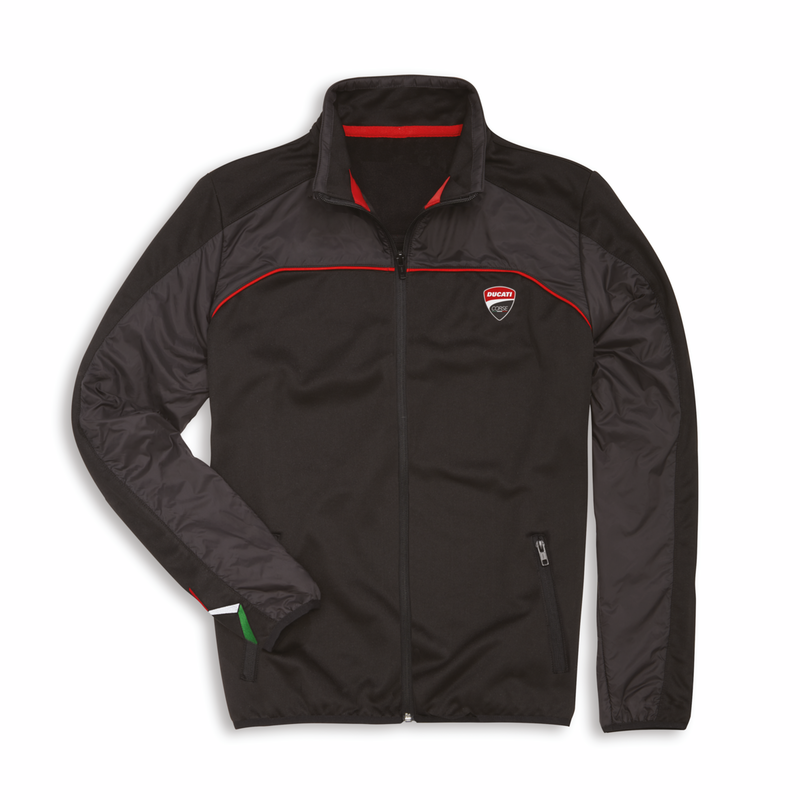 The fleece jacket is created out of a combination of polyester and nylon. Warm and in one block colour, this garment is ideal for the coldest seasons. 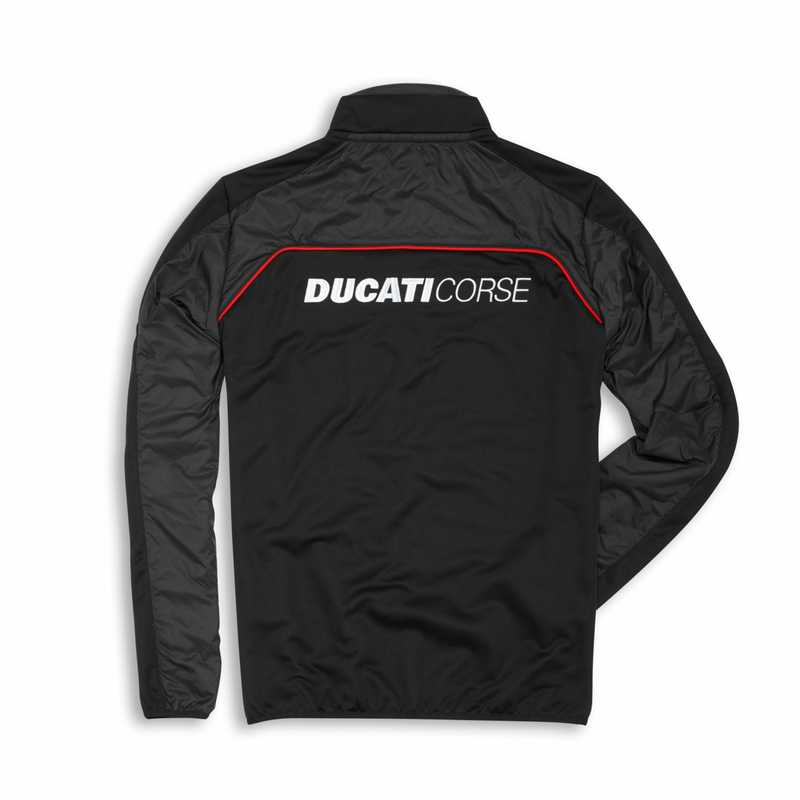 The red detail and Ducati Corse shield on the chest keep the passion alive even on the bitterest of days. Material: 100% polyester.